Classic Vans first opened its doors on Mission Blvd. in Hayward, California over 30 years ago. Since then, much has changed in the San Francisco Bay Area. However, our core mission remains the same: to bring you and your family the best conversion vans available, at affordable prices, backed by a Certified Dealer Warranty that is good nationwide. 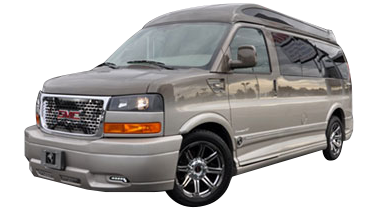 As a family owned and operated business since 1988, Classic Vans is the #1 conversion van dealer in the country, selling new and pre-owned luxury conversion vans, camper vans, mobility handicap vans and more. Custom vans are our only business and we pride ourselves as being leaders in the industry. While we have happy customers in all corners of the country, we are also proud to serve residents of Hayward, Oakland, San Francisco and California. Whether you're a long-time resident of the San Francisco Bay Area or visiting from out of town (or state), we hope the following resources and information helps make your time in Hayward truly unforgettable! 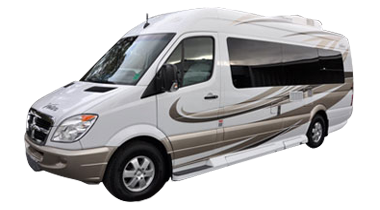 Contact our friendly, knowledgeable customer service staff to see how easy it is to own a custom conversion van, or to prepare for your visit to our Hayward dealership. Hayward is the 6th largest city in the San Francisco Bay Area, the 3rd largest in Alameda County, and ranked as the 37th most populous municipality in California. Hayward is located on the Bay's eastern shore, about a 45-minute drive (35 miles) from San Francisco and a 30-minute drive (18 miles) from Oakland. Hayward was originally named "Hayward's", then known as "Haywood", later as "Haywards", and eventually "Hayward". Most historians believe the town was named after William Dutton Hayward, who built a hotel here in 1852. Since its founding in 1876, the city of Hayward has grown to incorporate several nearby communities, including Mount Eden, Russel City, Stokes Landing, Hayward Health and Eden Landing. The Hayward Fault Zone runs through much of Hayward, including the downtown area. Numerous cities and communities border Hayward, including San Leandro, Union City, Fremont, and Pleasanton. Castro Valley, San Lorenzo, Cherryland, Sunol, and Fairview are census-designated places that border Hayward. Hayward is considered part of a northern extension of Silicon Valley, and home to more than 1,000 advanced industries companies. The biggest manufacturers include Annabelle Candy, Columbus Salame, the Gillig bus company, Impax Laboratories, the Shasta soft drink company, and a PepsiCo production and distribution center. Hayward boasts 1,811 acres of protected salt, fresh, and brackish water marshes, seasonal wetlands and public trails. The city has more than 3,000 acres of open space and parks. The average price of a single family detached home in Hayward is $507,000. Hayward Executive Airport – a city-owned airport two miles west of downtown. San Francisco International Airport (KSFO) – Located 22 miles from Hayward. Oakland International Airport (KOAK) – Located 10 miles from Hayward. Norman Y. Mineta San Jose International Airport (KSJC) - Located 30 miles from Hayward. East Bay Paratransit (operated by AC Transit and BART) is the primary paratransit service for Alameda County residents. 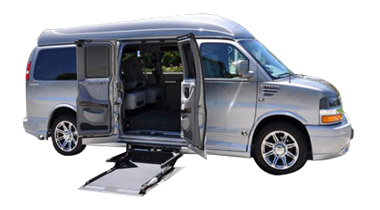 The Hayward Paratransit Program complements and supplements the East Bay Paratransit service when it is unable to provide service due to a medical or disabling condition. Provider and installer of steel, aluminum and modular wheelchair ramps with railings for residential and commercial mobility access. A peer-based disability resource organization that advocates and provides resources for people with disabilities to improve lives and make communities fully accessible. A national organization of privately owned companies that are dedicated to providing high quality, community-based supports to people with varying support needs. Home Safety Services is the largest, most experienced and highest rated residential safety company in Northern California. They work with seniors to enable them to remain in their homes safely and independently by providing home assessments, grab bars, stair railings and wheel chair ramps. 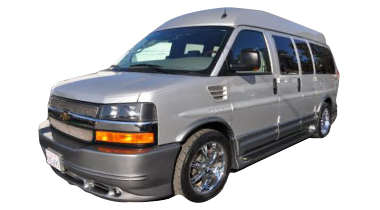 A full-service medical and surgical furniture repair shop and wheelchair ramp/lift installer, located next door to Classic Vans. A private non-profit organization providing services to people throughout Alameda County. East Bay Innovations offers a variety of services to help persons with disabilities live and work independently in their communities. Installs lifts and ramps that give wheelchair users safe and usable access to their homes, their vehicles and their world. Last Minute Labor Day Camping Trips, Part 2: Getaways Everyone Can Enjoy!